PERLA VIDEO - Want to see clearly without the handset? 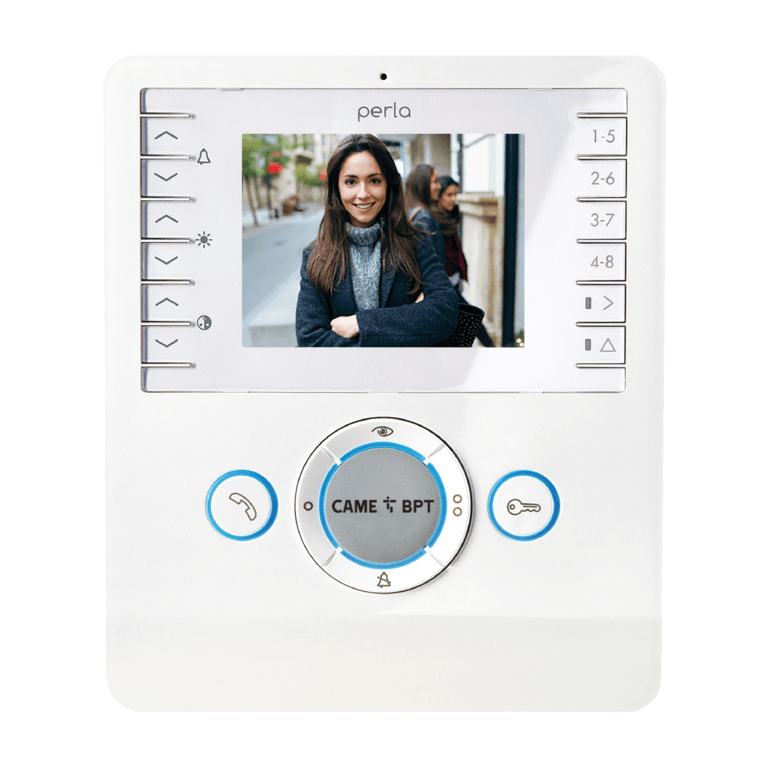 Choose Perla Video, our unique featured, elegantly-designed speaker video intercom. The central blue-backlit dial is for activating the numerous functions available. The 3.5" LCD display ensures brilliant colors and excellent video quality. Available in 2 colors, black and white, Perla Video is particularly suitable for our Building-type systems. It has up to 8 intercom calls and a "Panic" button for emergency calls to the porter. Want to see clearly and still have a handset? 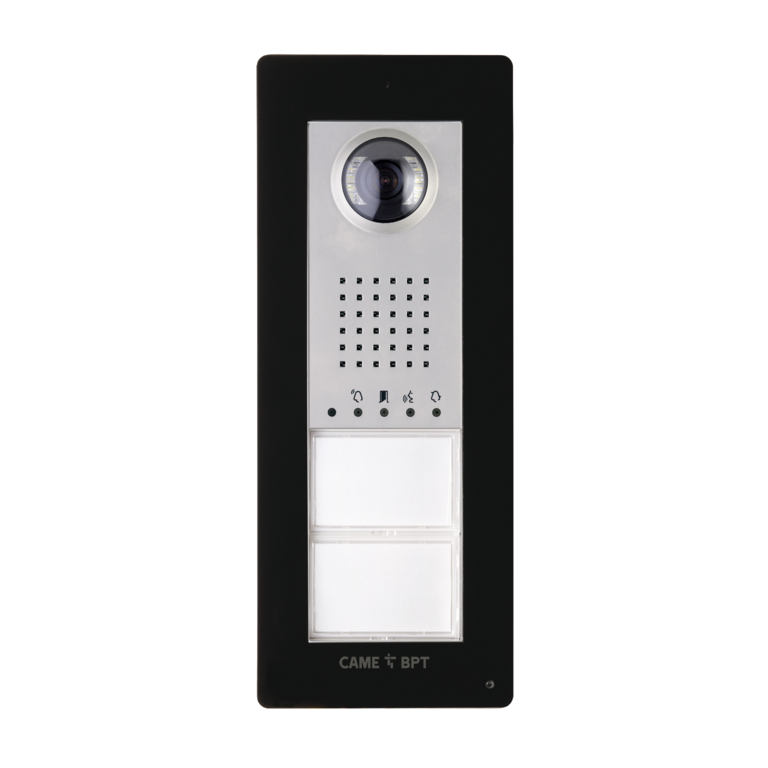 Choose Agata Video, our line of handset video intercoms. 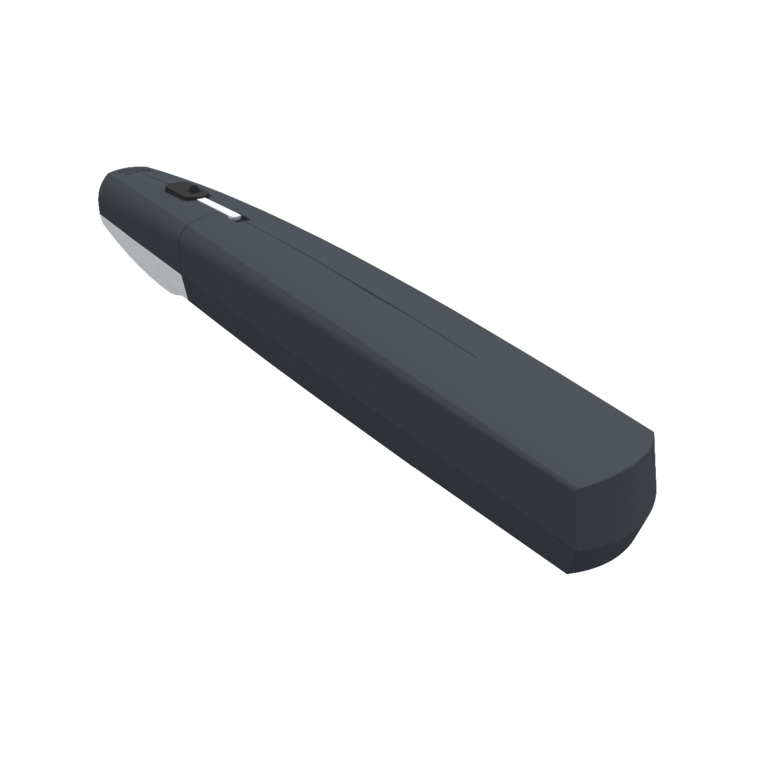 Sleek design, glossy white color, 3.5˝ color screen and many functions. Want to see clearly and still have a handset? 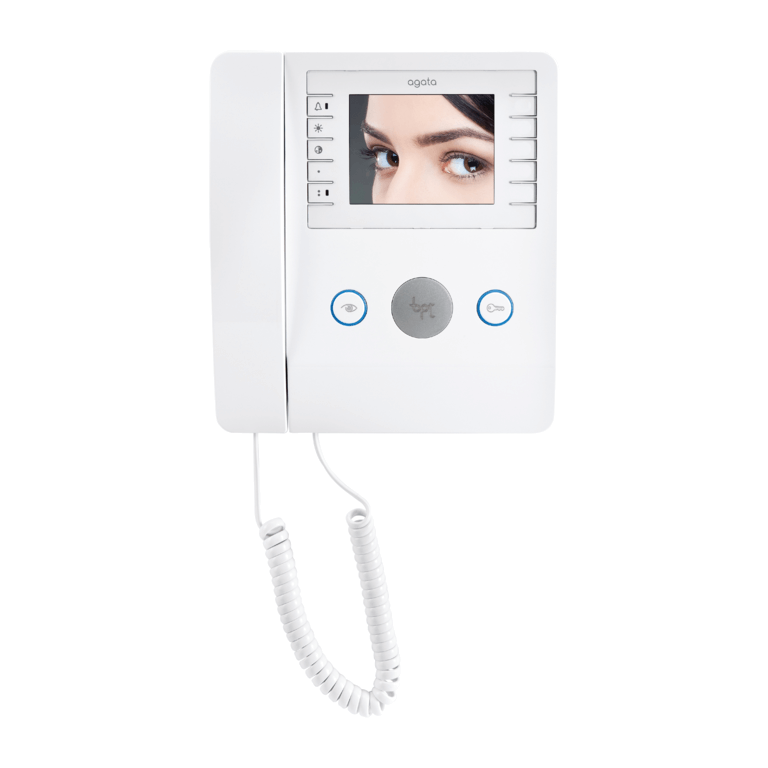 Choose Agata Video, our line of handset video intercoms. 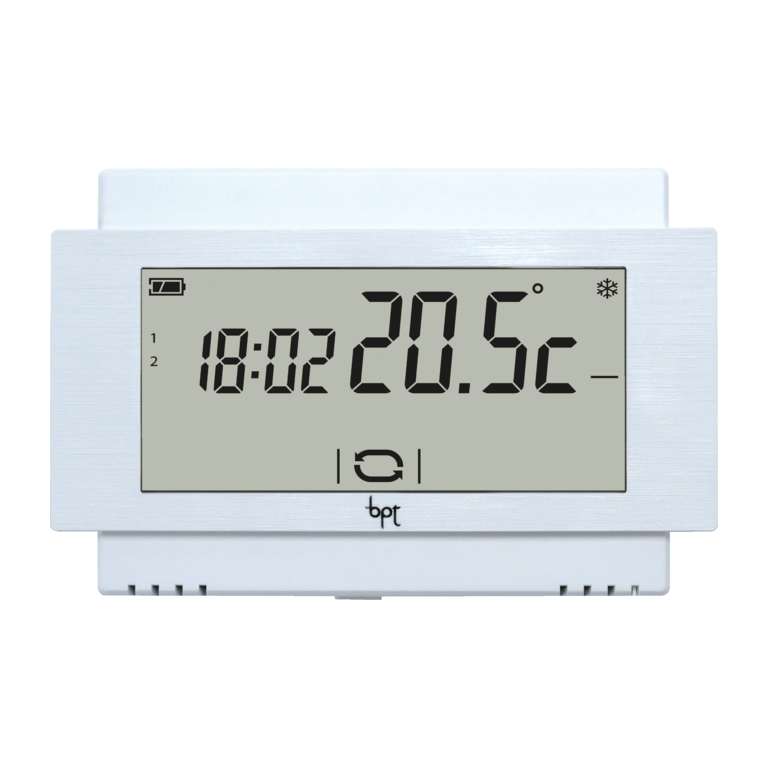 Sleek design, glossy white color, 3.5˝ color screen and many functions.Agata Video comes in two versions: Basic and Building (from 1 to 8 intercoms and "Panic" button for emergency calls to the porter). It also comes in the Building version with local power supply. 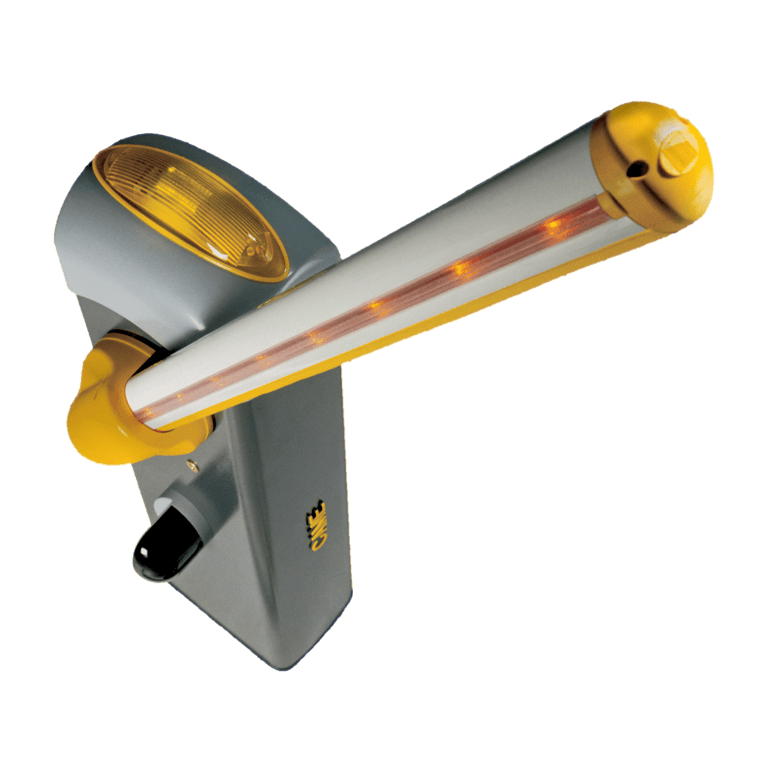 All models feature two keys with blue backlight for activating the main functions. The settings are simple and user-friendly: color, brightness and ring volume.